Previously we have talked about how to use one of the best and easy green screen editor Wondershare Fimlora9 to edit green screen video on Windows and Mac . If you haven't got a chance to learn it, you can check out the short video tutorial below to get an instant overview. 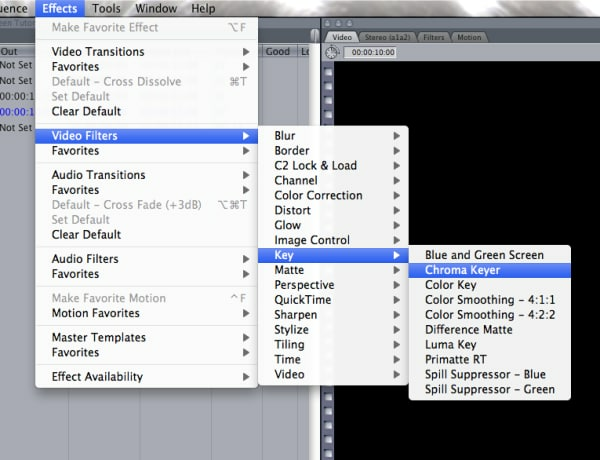 As we can see from the tutorial above that compositing green screen video with Filmora9 is very easy. You can also make full use of other green screen editors to transparent the solid color and add any background video clip or image as you like, whether you are using a Windows Pc, a Mac, or an Android or an iPhone. But in this article, you will see a collection of green screen editors that works on all different platforms. We will share with you some other best green screen video editing software that you can use on Windows and Mac as well as some green screen apps that you can use in Android and iOS. 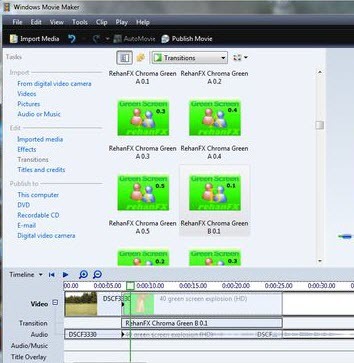 The software ranges from some free green screen editing software like iMovie, Wax, VSDC Free Video Editor to the expensive ones like Sony Vegas Pro and After Effects, as well as some green screen apps like KineMaster for Android and iPhone users. Choose the suitable green screen editor according to your needs and budget to composite a chroma key video. 1. Make sure you have turned the “Advanced tools” on. 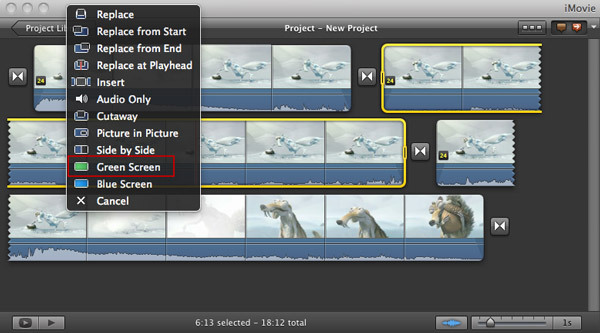 Go to iMovie Preferences, and click "General", and then you will see a popup window. Select "Show Advanced Tools" to turn it on. 2. 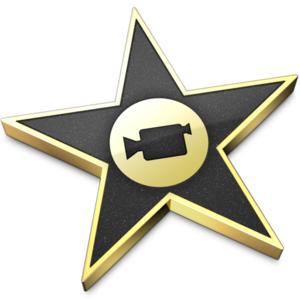 Create a new iMovie project and drag the first general video clip to the project. Then drag the second clip over the first clip. A pop up window will come out, from where you should choose Green Screen. 3. After that, you can further edit the video in the viewing window. Then click “Done” to save the settings. ZS4 Video Editor is the new incarnation of Zwei-Stein Video Editor. It’s an advanced video editing and compositing tool with over 150 built-in video effects including excellent green screen effect. Wondershare Filmora9 is an easy-to-use home video editing software which enables you easily apply green screen effect, also quite smooth. 1. Add the background footage to the first video track in the timeline and then drag the green screen video to the track above the background footage track. 2. 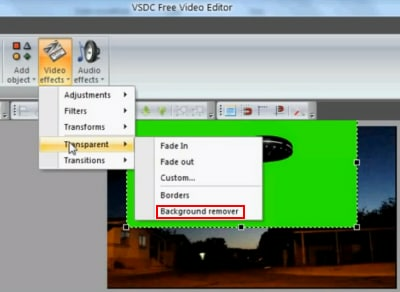 Double click on the background video to enter the editing panel. 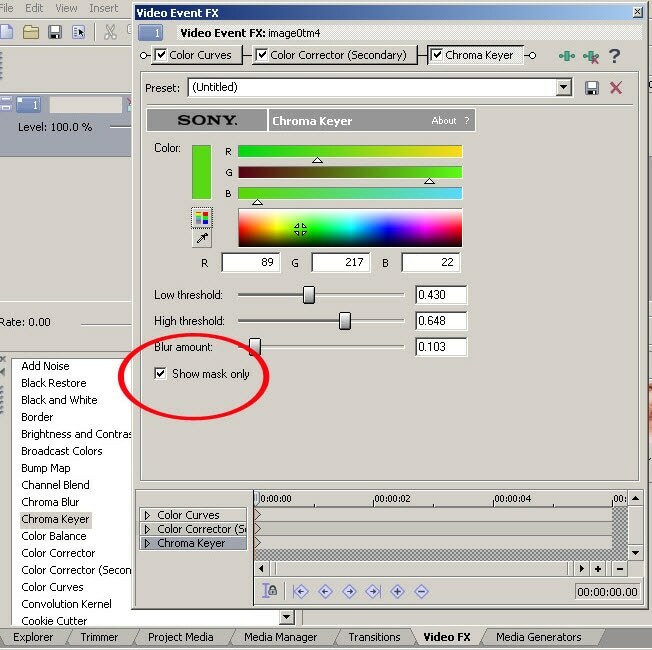 Click the Chroma Key option in the Video tab. Use the picker tool to pick up the green screen and make it parent and get closer to the color you need. Drag the slider to adjust its tolerance, edge thickness and edge feather settings to fine tune the chroma keying effects. Preview the result and do some settings if necessary. 2. Go to the "Effects" tab and click on the arrow next “Video Effects”. Then click the arrow next to the “Keying” folder and drag the “Ultra Key” effect onto the green screen video. 3. Use the eye-dropper next to “Key Color”. 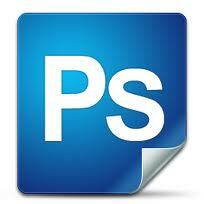 This allows you to sample the background color of the image so the Ultra key knows what to remove. If the effect isn’t good enough, try increasing the Pedestal value found under Matte Generation. 4. If you’re satisfied with the result, switch the Output to Composite and move on. Adobe After Effects is a digital motion graphics, visual effects and compositing app. 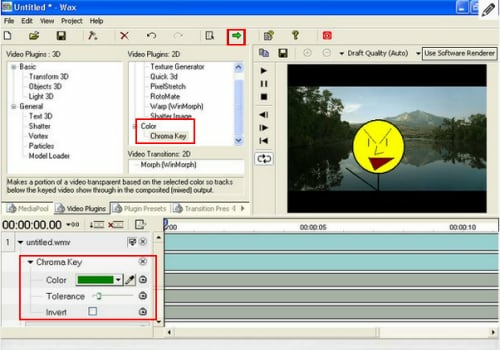 It can either be used in the post-production process of filmmaking and television production or used as a basic non-linear editor and a media transcoder. 1. Click the green screen footage to make it active the program. 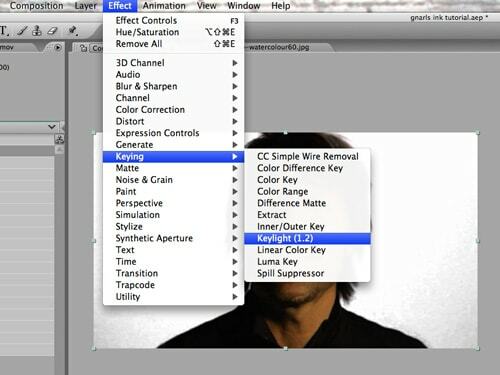 Then go to "Effect"> "Keying" > "Keylight" to automatically add the plug-in to the software. 2. Go to the Effect Controls tab and select the "Eye dropper" option. Choose a section of the green screen and click "View" > "Status". Here you can any part of the green screen that were not removed. These areas will appear white and gray around the object. 3. Increase the Screen Grain until the outer edges of gray and white disappear and you see just the shape of the object. Play through the video to see the green screen removed. 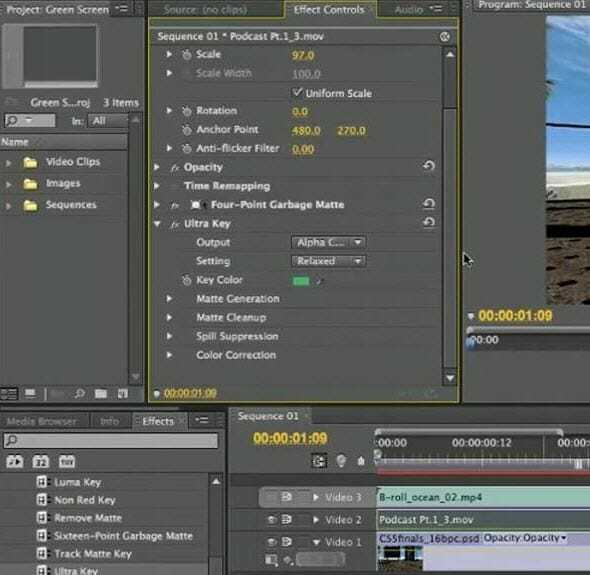 For more details about how to chroma key in Adobe Premiere Elements, check this tutorial about Chroma keying in After Effects. For more information about how to composite a green screen in Vegas, check this Vegas Pro Green Screen (Chroma keying) tutorial for beginners. 1. Click “File”> “Import”> “Files” to import both the green screen footage and the footage you want to replace the green into the program. Then place the video that you want to be the background onto Video Track 1 and the green screen video onto Video Track 2. 2．	Then use the eye dropper to select the area that you want to remove. Hold the “Shift” key while clicking and dragging and hit "OK" when you're happy with the selection. If you've selected too much, hold “Alt” key while clicking and dragging to deselect the portions. 3．	Go to "Select" > "Inverse". Then go to “Refine Edge” to adjust the smoothness of the edge of your cutout. Hit "OK" to confirm the settings. 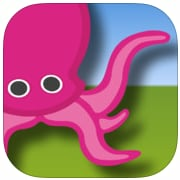 Green Screen by Do Ink is an easy-to-use green screen app. 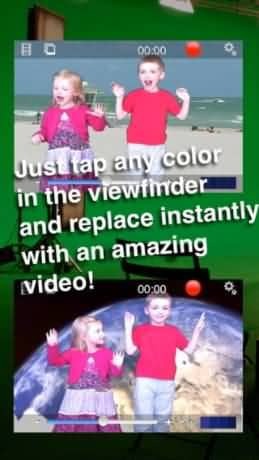 It enables you to create incredible green screen videos on your iPad. 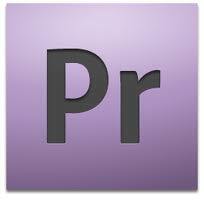 You can either use the live video camera, or import prerecorded videos, photos, and artwork to get fantastic results. 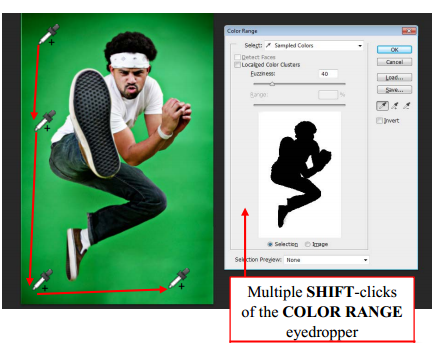 Green Screen Movie FX enables you to use green screen in a simple, fun and quick way. 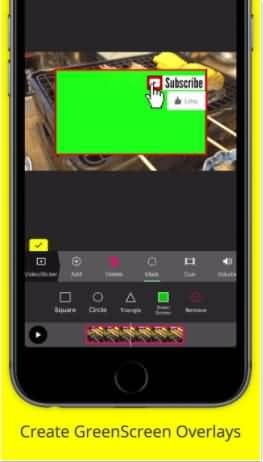 You can just choose the colors in the viewfinder by tapping the screen and immediately replace it with a video or image of your choice. When the editing is done, you can easily show it off on Facebook, Dropbox, Twitter or email to others. 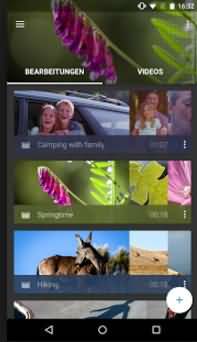 WeVideo recently updated its Android app and add the new green screen feature. One of the great features is that this app is cloud-aware, which means you’ll always have access to all your media right on your Android device. 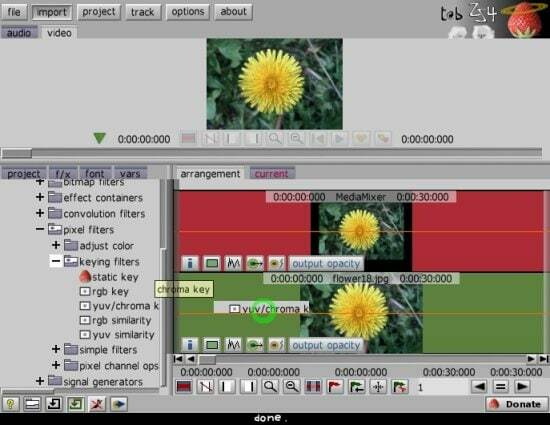 Besides, you can also use WeVideo online to make a green screen video. KineMaster is a professional video editor which supports multiple layers of image, video and text, of course, the ability to compositing Chroma key videos. Besides from the basic editing features like most of other video editors, KineMaster allows you to cut and trim precisely, add multiple audio tracks, LUT filters, chroma key (green scree effect) and various transitions and video effects. You can use the free trial, but if you want to get everything forever, you need to subscribe at $4.99/month. 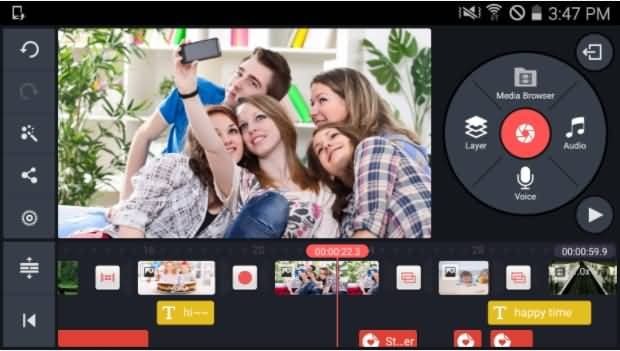 PocketVideo is also a easy to use yet powerful video editing app for both Android and iOS devices. You can edit the HD videos up to 10 minutes. It has some desktop-class features like Picture in Picture, video overlaying and green screen overlays. You can add animated text and titles, filters, and music from the commercial free music library. 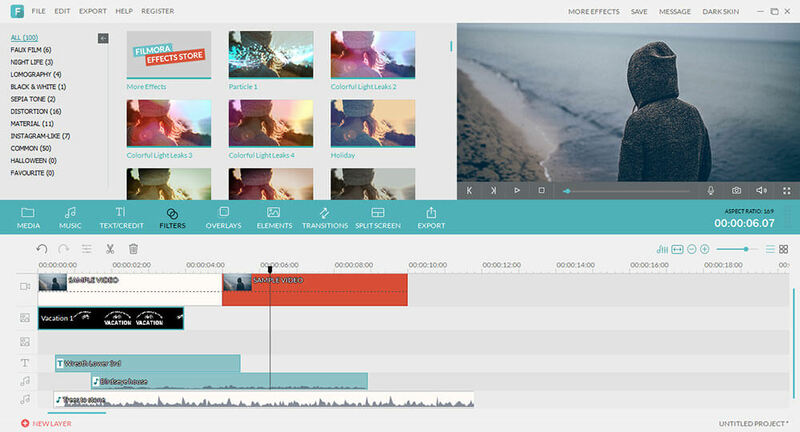 What’s more, you can adjust the duration of clips and mix your audio easily. Above are the best green screen video editor software and apps that we found valuable for chroma keying, including some free green screen software and app on Windows, Mac, iPhone or Android phone to some paid solution to chroma keying. Hope it is helpful for you to choose your own green screen video editor. With Filmora9, you can also adjust the compositing mode and opacity as well as the edge feather and edge thickness. Besides chroma keying, you can also stabilize the video, record PC screen, play video in reverse and much more. Download and try it now. Do not forget to try the new Filmora 2019 version to compositing a green screen video with its better fine tune settings. I don't see the green screen feature in the WeVideo app for Android. 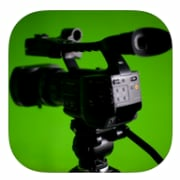 Also, what about the FilmoraGo app; any plans for green screen?